Insanely busy weeks as we shift gears into Summer the Squabblers have not been able to assemble because…well, life. But, fear not, Sara Michelle Fetters and Adam Gehrke have you covered with regards to what’s out in time for the July 4th weekend. Check out this lightning round! Despicable Me 3 – As convoluted as Despicable Me 3 might initially appear to be, it’s clear that the creators of this internationally popular set of animated films are starting to run short of fresh ideas. The whole last third feels like it’s cribbed, almost beat-for-beat, from the finale of 2015’s Minions, while other sections repeat ideas from the other two entries in the series close to verbatim. The Big Sick – The Big Sick is a refreshing, absorbent spin on the romantic comedy, delivering laughs, tears, frowns and smiles with an ebulliently authentic ease that’s remarkable. Reset – As gonzo Hong Kong high-octane sci-fi time travel thrillers go, Reset is an absolute blast, smartly grounded in real world emotions and actions, thus allowing its central premise of a mother going above and beyond the limits of space and time to fight for the survival of her child to resonate in a deliciously personal manner that’s frankly glorious. Comments Off on Cinema Squabble: Lighting Round! 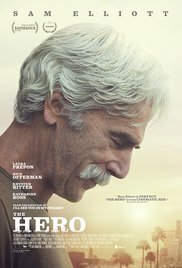 Recently actor Sam Elliot and Director Brett Haley were in Seattle supporting the film The Hero at SIFF. Squabblers Matt Oakes, Sara Michelle Fetters, and Adam Gehrke got a round table interview with both of them, take a listen to this! Warning for the kids, this interview is probably rated R.
In this episode Steve Reeder returns to the studio with Sara and Adam to discuss the finer points of The Mummy, The Book of Henry, Cars 3 and some of the outstanding points of SIFF, films to watch out for! Click in and listen!